Let Them Eat Cake! – Choosing your wedding dessert. When it comes to planning your wedding, selecting cake flavors is one of the most fun, and delicious, decisions to make. However, choosing cake flavors is not just black or white (or chocolate or vanilla!). 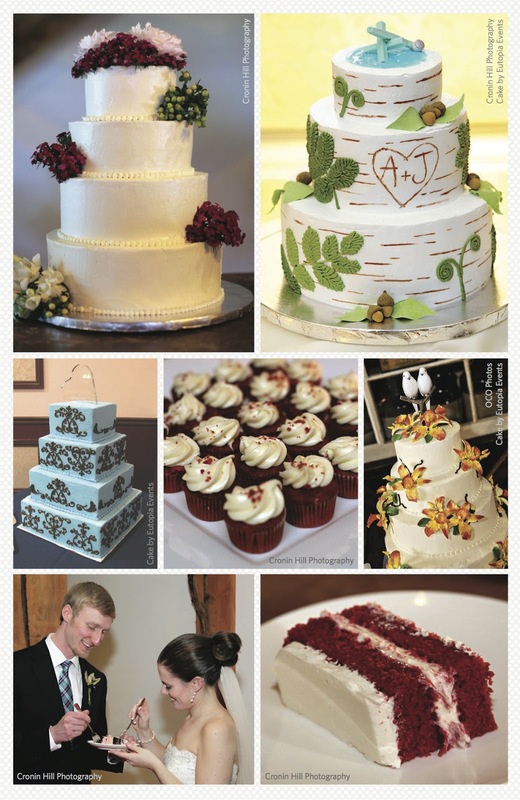 There are a variety of flavors, fillings, and frostings to choose from, as well as seasonal considerations to take into account when deciding on the type of cake for your wedding. Take the time to sample the many options available. This will give you the sweetest results. Your cake flavors can be reflective of the season, have a personal significance, be inspired by the meal, or follow the wedding theme. Was your first date at the local coffee shop? Perhaps a devil’s food cake with a cappuccino filling would tickle your taste buds. A fall wedding might feature a pumpkin spice cake, while a Hawaiian-themed wedding may consist of pineapple or coconut. While most people think of only the cake flavors, fillings and frostings are another way to add variety. Besides traditional buttercream, you might consider fresh fruits, jams or curds, mousses, or whipped cream. Talk with your baker to be sure the fillings and frostings you select will also work well with your cake design and the time of the year. Fillings or frostings that require refrigeration may not be the best choices for an outdoor July wedding. Couples often choose 2 or 3 flavor combinations for each layer of their wedding cake. This is a great option to ensure all of your guests find a flavor that they like. Keep these tips in mind as you visit different bakers, it will make selecting your flavors a piece of cake! 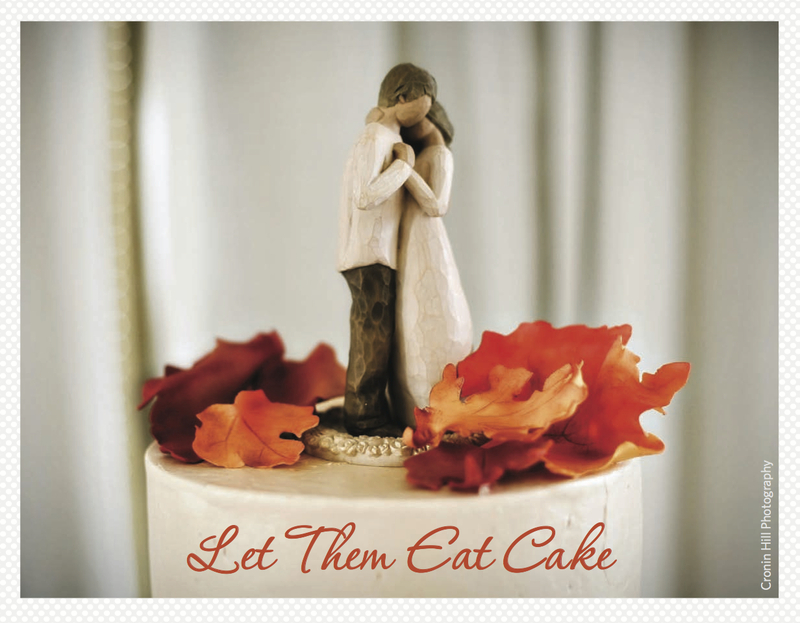 Comments Off on Let Them Eat Cake! – Choosing your wedding dessert.